KeyTrak: Dealership Craigslist Scam: Is Someone Selling Your Cars out From Under You? Dealership Craigslist Scam: Is Someone Selling Your Cars out From Under You? How would you like to sell more vehicles off your dealership’s lot? This proposition sounds like a no-brainer, but what if your salespeople aren’t the ones selling them? And what if you don’t even know the vehicles have been sold? Online marketplaces such as Craigslist, eBay Motors and Facebook Marketplace give you more ways to reach potential customers before they set foot in your store, but they’ve also given scammers a whole new way to take advantage of unsuspecting victims — including your dealership. Fraudulent online vehicle sales have become so common and costly that the FBI Internet Crime Complaint Center issued a warning to consumers. 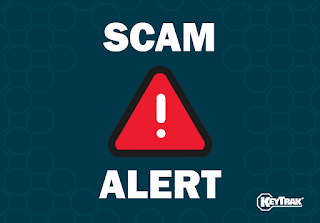 The warning describes how scammers will post photos of vehicles that aren’t in their possession and trick consumers into sending the money by providing a seemingly legitimate explanation of why the transaction is time sensitive. Of course, after the victim sends the money to the scammer, they never receive the vehicle they’ve purchased. Now, some thieves are going to even greater lengths to carry out online vehicle scams. truck he found on Craigslist. Unlike the victims of the scams described in the FBI’s warning, this man actually received the vehicle he’d purchased. The problem was it had come from a dealership in Huntsville, TX, and the dealership wasn’t aware the truck had been sold to the Dallas man. A thief lists vehicles from the dealer’s lot for sale on Craigslist. The thief fields inquiries from interested parties. After finding a buyer, the thief steals the vehicle from the dealership’s lot and sells it to the victim. While this type of scam requires more effort on the thief’s part, it’s also easier for the scheme to go undetected. 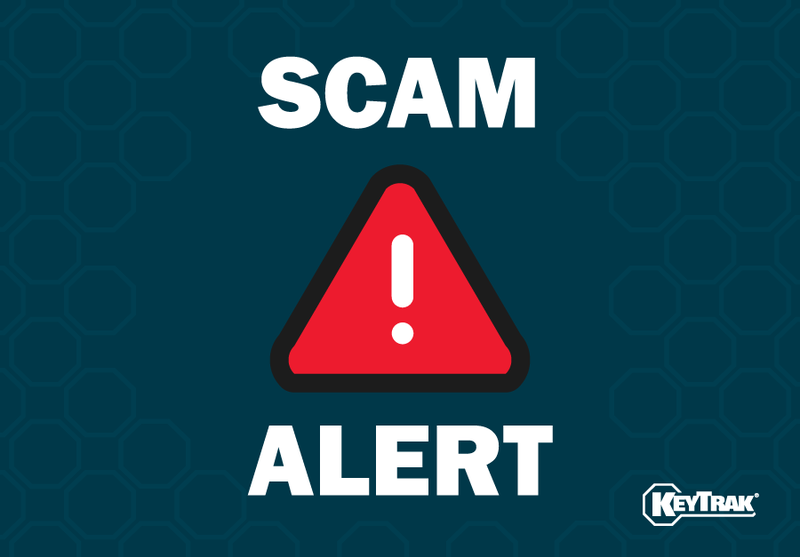 If a buyer never receives the vehicle they’ve paid for, they’ll know immediately that they’ve been scammed. If they receive a stolen vehicle, they often don’t realize it until later. There are two primary ways to protect your dealership from online vehicle sale fraud. Disable right click to prevent someone from downloading images (granted, this only works on your website, not on social media). Of course, some of these steps are time-consuming and impractical. For example, your time is better spent selling vehicles than doing frequent reverse image searches of all your inventory. The most effective way to avoid vehicles being stolen from your lot is to make it more difficult for thieves to take the keys. Some thieves familiarize themselves with where your keys are kept or wait for someone to leave them unattended on a desk or counter, swiping them when the opportunity arises. Others use the key-swap scam, where they ask for the keys to a vehicle under the guise of inspecting or test driving it. They then hand the salesperson a dummy key and return later to steal the vehicle. To thwart thieves, use an electronic key control method that allows only authorized users to access keys. 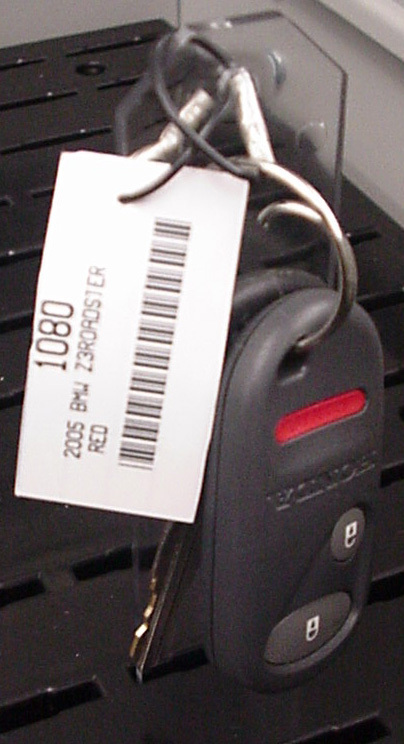 Look for a system where keys are attached via a stainless steel ring to a system component such as a key tag to prevent a thief from swapping the key with a dummy key. By taking these steps to secure your inventory, you can save your dealership thousands in inventory loss and help protect unsuspecting buyers from scammers.